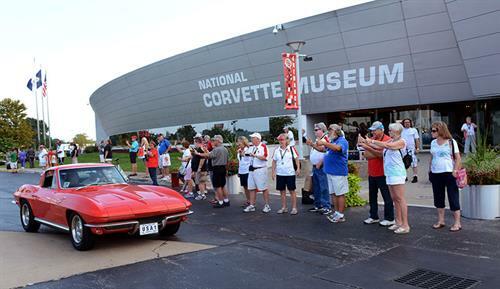 The Museum was established in 1994 as a home, library, archives and museum exhibit space for all things Corvette. 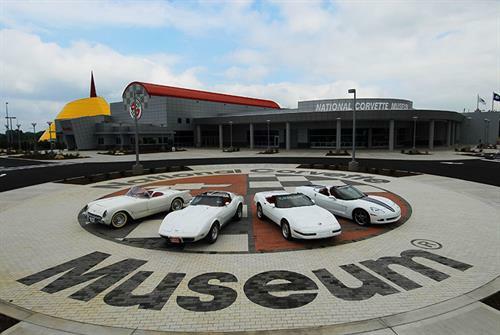 The mission of the National Corvette Museum is the celebration of the Corvette's invention, and the preservation of the legendary automobile's past, present, and future. The Museum will serve as an educational and research model for all to enjoy. •Promote the restoration, preservation, and conservation of America's sports car. 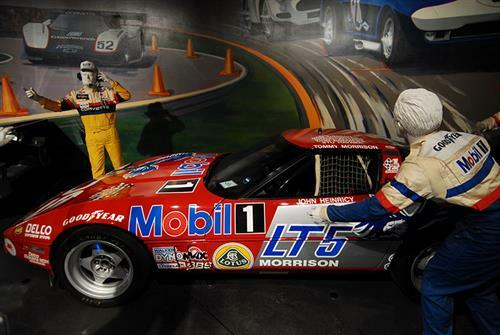 •Be a repository of and preserved printed technical materials and historical information on the Corvette automobile. •Enhance the knowledge of the general public regarding the design, development, construction, and history of the Corvette automobile. •Provide information to the general public, collectors, and automobile historians about the Corvette automobile. 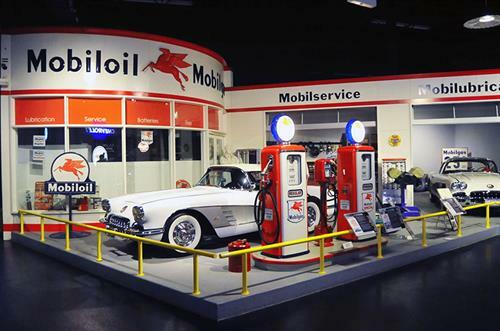 •Provide a facility to house and display the Corvette automobile for public exhibition and research in the areas of the automotive sciences and automobile mechanics. 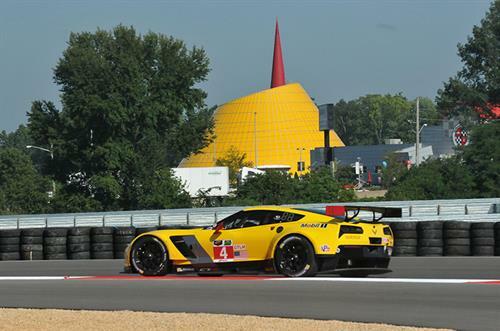 •Provide historical literature and memorabilia on the Corvette automobile from its development to the present day for the general public and collectors. Cafe serving breakfast, lunch and snacks. 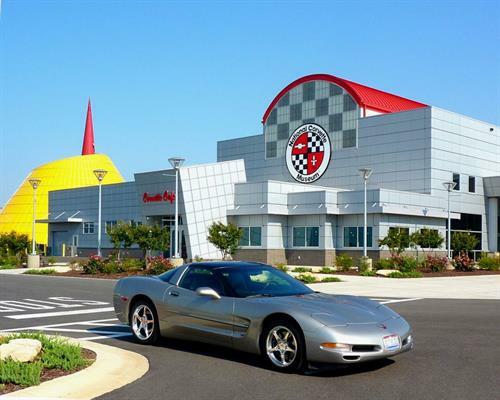 Corvette Store. I-65 Exit 28. Left at the light onto Corvette Drive.